In 2014 Walt Hunter joined the Duffy's Cut Team as a Board Member. Eyewitness News Reporter Walt Hunter is one of the market's most outstanding investigative reporters. 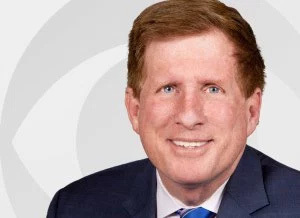 His hard-driving and in-depth reporting style has won him scores of awards and honors including 16 Philadelphia Emmy Awards, most recently the 2014 Emmy for coverage of "Hurricane Sandy," also one for "Outstanding General Assignment Reporter". Hunter has also been honored by the Pennsylvania Association of Broadcaster, the Associated Press and the Philadelphia Press Association. In 2007, he was inducted into the Broadcast Pioneers Hall of Fame. See the full article. October 5, 2015 - "New Search Begins for Secret Main Line Grave Holding Irish Rail Workers"
February 23, 2011 - "After 179 years, new Evidence Points to Mass Murder on the Main Line"
July 2, 2009 - "New Details on Mass Burial Site"
March 23, 2009 - "Remains of Irish Workers Uncovered"
March 24, 2009 - "177 Year Old Mystery Solved"
Want to donate to Duffy's Cut!